Despite its lengthy repeat, this formal damask was apparently quite popular in the mid-17th century. 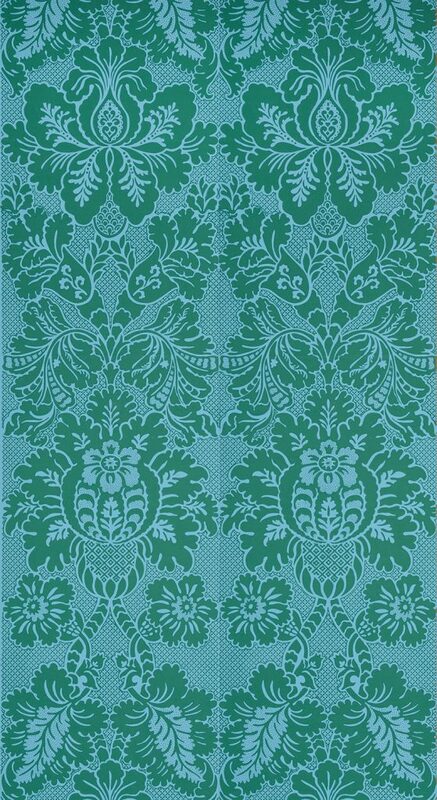 The same pattern used at Strawberry Hill was also installed in a different colorway in the Doddington Hall (Lincolnshire) drawing room, and at Eagle House (Bathford) in yet another colorway. The original versions were, not surprisingly, flocked papers. 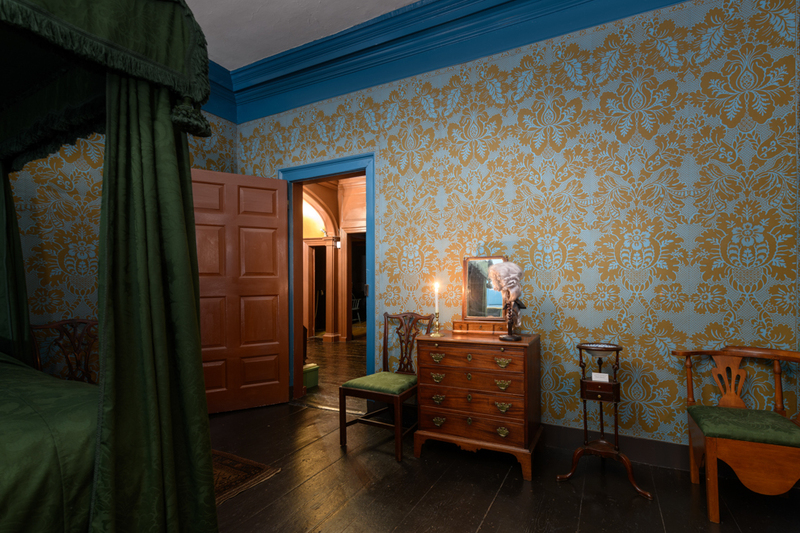 Flocked wallcoverings were intended to mimic fabric damasks, but through a less expensive means of production. Even so, with four separate blocks required to produce one repeat these large damasks are involved patterns to print. Imperial Measurements: Repeat 75 inches, width 22 ¾ inches, length 11 yards, straight match. Metric Measurements: 190.5 cm, 57.8 cm, 10 m.